Sometimes, I am proud of myself, especially if I spot immediately an object of desire for the next season. 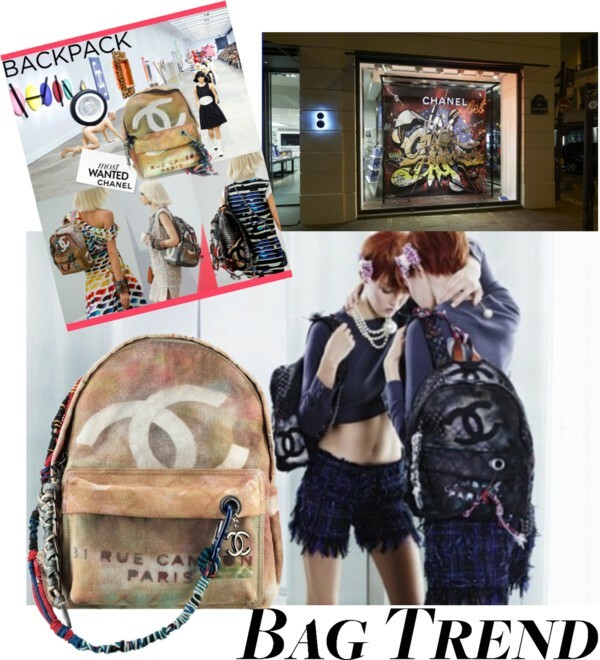 In this case it has been CHANEL‘s amazing to-die-for backpack for S/S 2014 (see previous post from last November 2013 here please) which Karl Lagerfeld has transformed into a backboard for creativity, turning it into an arty and luxury accessory. Playing with conventions the famous designer has personalised the backpack and given it an authentic and worn appearance: graffiti, tags, splashes of paint and colours, added details like scoubidous, snap hooks and luggage tags. Every motif was specially conceived and reproduced thanks to a specific printing procedure which allows for a wide variety of shades and several colour effects. “There’s a certain lightness and a certain kind of humour in all this,” Lagerfeld declared. 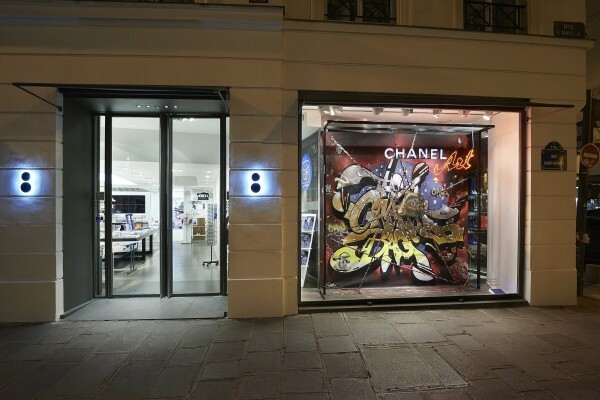 Available in two sizes (as well as a third tote-shaped version) and three colours, the CHANEL backpack is available in the CHANEL boutiques, and also for a limited time at Colette, from now to March 8th 2014, where it is adorning the windows at the moment during Paris Fashion Week. 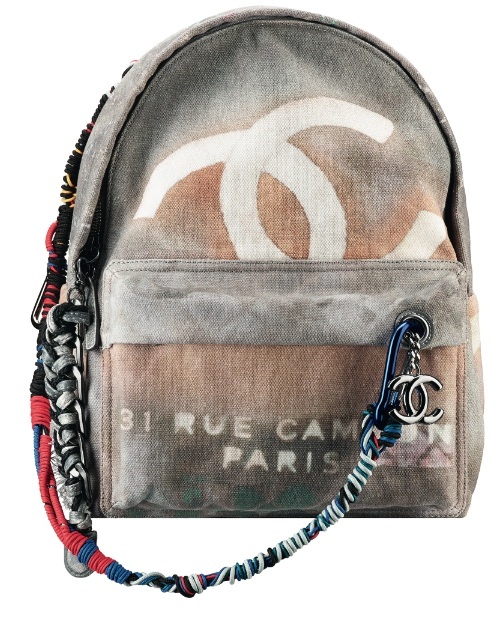 A veritable reflection of Karl Lagerfeld’s endlessly renewed creativity, the CHANEL S/S 2014 backpack symbolises the instantly recognisable quintessence of the Maison: the union of luxury and fashion. 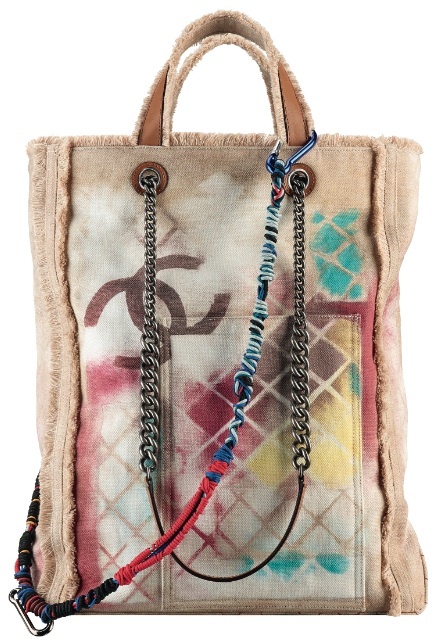 A collector’s piece and THE bag of the season!